Opera 10's first release candidate has arrived, with the final version likely to have a 1 September release date. The latest iteration of Opera features a new design and more industry standards than you can shake an HTML 5.0 stick at. 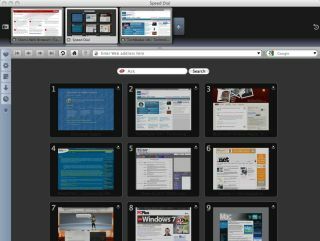 As well as Opera Turbo – to keep things flying along even on a bad connection, the built in Opera Mail, Opera speed dial and tabbed browsing are all likely to win praise. "Opera today released the first release candidate for Opera 10," said Opera's release. "Today's release points to a 1 September launch for the final version of Opera 10." You can download and test the release candidate from http://www.opera.com/browser/next/.